Auto Restorations skilled workforce informal portrait of Allan Wylie, managing director, leaning against his 1938 Ford roadster. With 26 employees and very low staff turnover, several key people having worked over 20 years for the firm, and several others having clocked up more than a decade’s service, this has resulted in a vast accumulation of broad and deep specialist knowledge and experience at Auto Restorations . The restoration of classic vehicles, sometimes worth many millions of U.S. dollars, is a “high touch” process expertly managed by Auto Restorations’ friendly and highly competent administrative staff. When restoring an automobile hidden defects are sometimes found that were not visible on first inspection. If these parts are best replaced, or extensively repaired to guarantee the restoration’s quality, the customer is sent photos and the matter discussed. The decision on how to proceed is then agreed upon in the process. Customers therefore are never faced with unexpected costs when they collect their completed restoration. Custom body Delahaye 135. 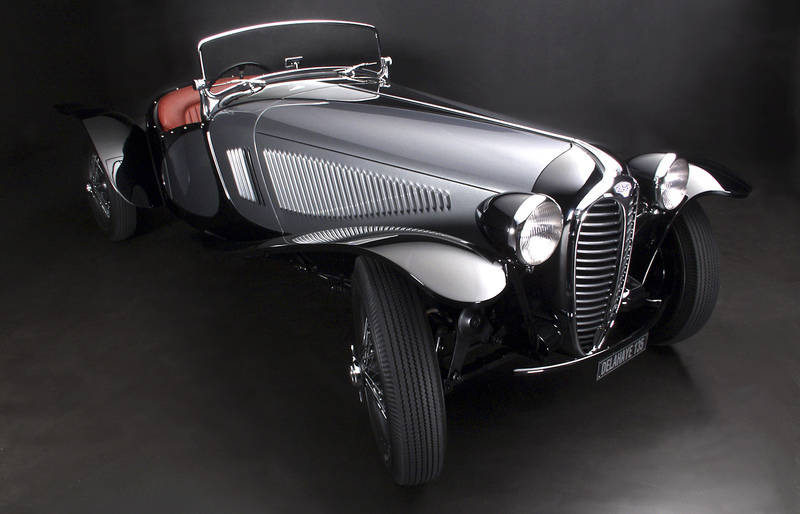 The originals of fine classic automobiles were works of many different coachbuilders throughout Europe built on the chassis supplied that together furthered the aesthetics of engineering design.